You may have guessed from my recent outfit posts that I am well and truly caught up in the gingham trend. I've actually always loved gingham ever since my beloved red summer dress I wore to school (which had a zip instead of buttons because I was the coolest kid in town). I've always tended to have a bit of gingham in my wardrobe because it's a pattern that I love (the proof is in my 12-year-old pink gingham Converse I've just dug out yet again) and now that it's all over the high street I haven't been able to stop myself. I have a gingham problem. 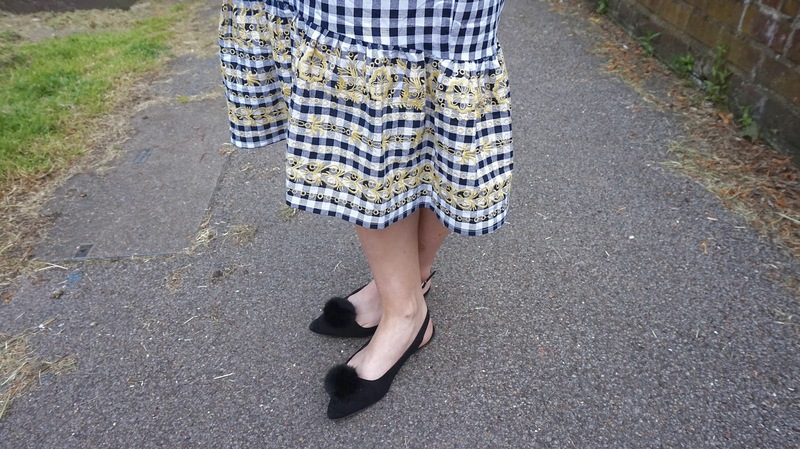 There was the gorgeous pair of embroidered mules featured in this post, then the sassiest top I've ever owned that I wore in this post and here I am with yet another outfit that features gingham rather heavily. If gingham isn't your thing, look away now...in fact, it's probably best to just not read my blog...(although please do). 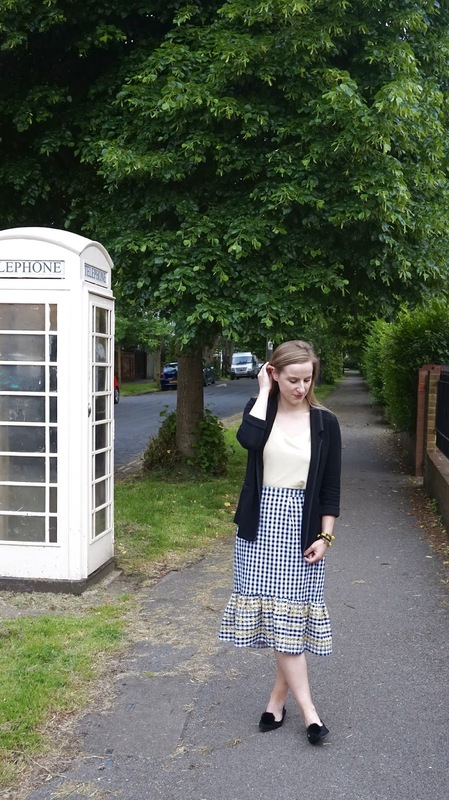 This skirt was one of those things I'd had in my Asos saved items for rather a while, always knowing that I'd buy it eventually and when pay day came around...well, the rest was history and here I am wearing the dreamiest skirt I now own. When I ordered it I didn't actually expect it to suit me at all. 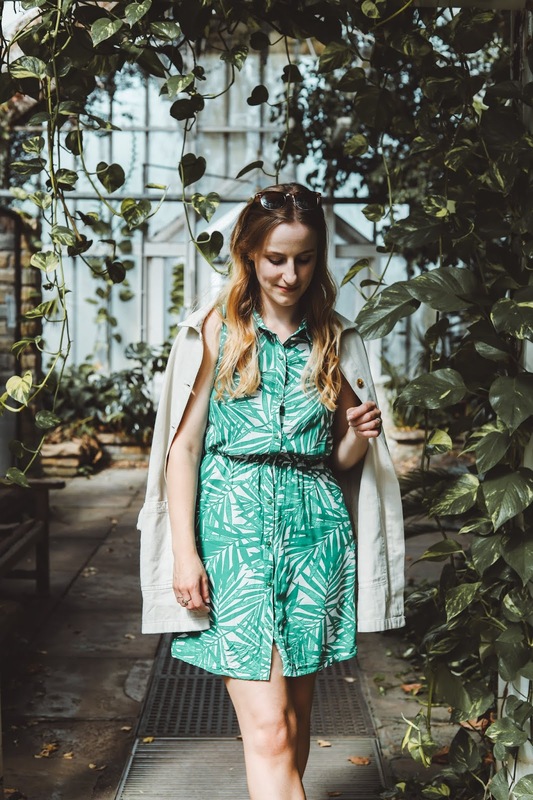 It should be the wrong length for my short legs and the wrong shape for my sizeable hips, but somehow it seems to work (or maybe it doesn't and I'm just blinded by how much I love it - please don't shatter my dreams). I adore the shape and fit of it - I think the reason it's not unflattering on my hips is because the way it flares out at the bottom detracts from any hippyness (yes I'm inventing words now) and the flare is the thing I love the most. I guess you'd call it a mermaid shape (I mean can you think of anything better than a GINGHAM MERMAID?!) and it's not a shape you often see in a skirt so it's just that little bit different. 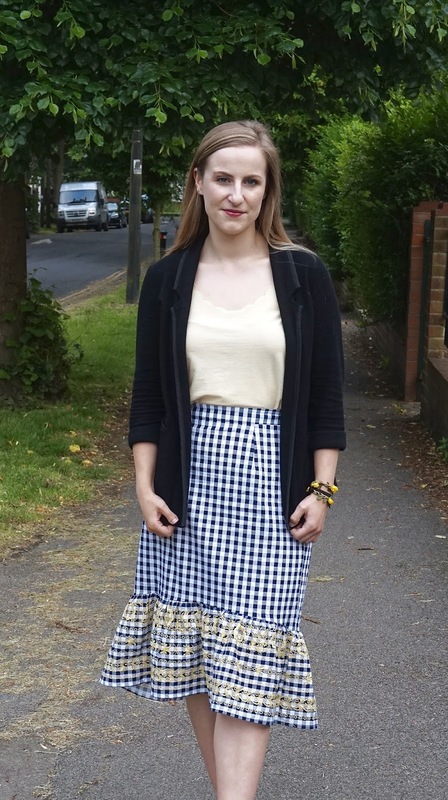 I seem to be gravitating towards black gingham, I think just because it's so wearable with anything else, but I do love the touch of yellow in this skirt and the embroidery itself is so pretty. Is anyone bored of me banging on about gingham and embroidery on my blog yet? The yellow embroidery gave me the chance to dig out this old Topshop gem of a scalloped top - I'm sure most people reading this probably owned this in at least one colour am I right? I still have three and they make an appearance every summer because they're so handy and this yellow one just went so perfectly. I do love a bit of yellow, it's a very underrated colour isn't it? And lets take a moment to appreciate these pom pom shoes because how cute?! They're so comfortable and such a staple for me at the moment, plus they have pom poms on them so even if they weren't comfortable I'd probably smile through the pain. Are you a gingham fan? Gingham mermaid is definitely the right description for this outfit! You look lovely! The whole outfit is very classy and elegant but looks comfy as well! I'm in love with those Primark Pom Pom shoes, it's great to hear that they're good to walk around in too! Your big smile in the photos lights up your posts as always! What a beautiful skirt and it's something a little different to all the other gingham items I've been seeing in the shops at the moment, great styling too!! THAT SKIRT AMY. It's so wonderful and I love both the embroidery and the yellow! I definitely had one of those Topshop scalloped tops in burgundy but it made its way into the bin last year because it was such a state...oh and FYI you know I can never get bored of gingham and embroidery so do carry on haha. You look so great is this skirt, I would definitely look five if I was to wear it haha. And them shoes! This skirt is so so pretty! Beautiful pics. I love the skirt! Oh I love gingham for summer. It's such a pretty print, and so versatile!